As a long-time headache sufferer, I’ve had quite a few different headache diagnoses attached to my chart. Tension headaches, sinus headaches, migraine headaches, and menstrual migraines are the four that come to my head right away, although I know that there are more. When I was assigned to write this article about confusional migraines, I was stumped. A new kind of migraine, perhaps? Was this a type of headache that actually missed me? As it turns out — no, this is not a migraine that missed me. It is most common in the pediatric population and is an acute headache as opposed to a chronic headache. It is considered to be a rare migraine that resolves rapidly with the proper treatment. 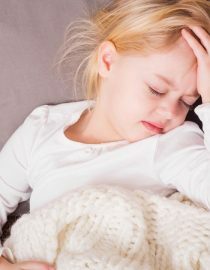 Migraines in general are fairly common in the pediatric population. Pre-puberty, they are more common in boys, while after puberty they are more common in girls. ACM accounts for one out of five migraines, while the other types of migraines in the pediatric population include benign paroxysmal torticollis, benign paroxysmal vertigo, abdominal migraines, cyclic vomiting and acephalgic migraines. ACM in particular occurs in 0.04 percent of the pediatric migraine series, occurring more frequently in males. They most commonly occur in the five to 16 year old age group. Most children who have ACM also have a family history of migraines (77 to 100 percent) and also a personal history of migraines (20 to 53 percent). Typically, the attack lasts anywhere from 30 minutes to 24 hours. ACM has a strong association with head trauma. The AAP notes that ACM is a diagnosis of exclusion because the symptoms tend to align with other diagnoses. Aside from the symptoms listed above, physical examination is generally normal. Treatment is initially aimed eliminating differential diagnoses, such as encephalitis, meningitis, seizures, toxin exposures, and metabolic exposures. To do so, this may include lab draws and diagnostic exams such as magnetic resonance imaging (MRIs), electroencephalogram (EEG) and computed tomography (CT). Treatment for ACM is controversial there have been no controlled studies in the pediatric population, thus physicians typically use medications that have proven effective, such as medications used to treat seizures. In a specific case study by the AAP, valproic acid (VPA), a medication used to treat seizures, was used intravenously in a 12-year-old girl who presented with ACM. After differential diagnoses were eliminated, and midazolam (a benzodiazepine) failed to improve symptoms, VPA was administered intravenously. Her symptoms cleared within 30 minutes. She was asymptomatic for 24 hours in the inpatient setting and remained asymptomatic until her follow-up appointment, as was an EEG that was performed at the follow-up appointment. Confusional migraines are unlike other migraines. They are acute and do not last long but may require emergency treatment to clear. Their treatment is controversial at best and further research still need to be performed, although certain long-standing medication options do seem to be effective in treating ACM.